WhatsApp's Dark Mode will turn the background of the messaging app Black, while the text will be reflected in White. WhatsApp is working on new 'Dark Mode' and ‘Swipe to Reply’ features for Android. While Swipe to Reply is already present on iOS, Dark Mode will be a new addition to both operating systems. It is expected that Android users could get the Swipe to Reply feature soon, while Dark Mode still seems a while away. The development was first reported by famous WhatsApp watcher WABetaInfo, saying that the new update which the messaging platform has submitted through the Google Play Beta Program brings the version up to 2.18.282 and carries the Swipe to Reply feature in it. The feature was implemented on WhatsApp for iOS years ago and it allows users to quickly reply to a message using a gesture. WhatsApp has implemented an alternative on the Android version (tap and hold + type to reply), as reported. On iOS, if you swipe right on the message you want to reply to, WhatsApp will automatically load the message in the reply context and save time. It was also reported that WhatsApp is rolling out another update that will bring a ‘More’ button in Groups. When there are more than 10 participants, WhatsApp will now show a ‘More’ button that will present the full group participants list. Meanwhile, a lot of reports have been circulating on the internet claiming that WhatsApp is working on a Dark Mode. Several media outlets have attributed WABetaInfo for the development, and the platform recently confirmed the news in a Tweet. 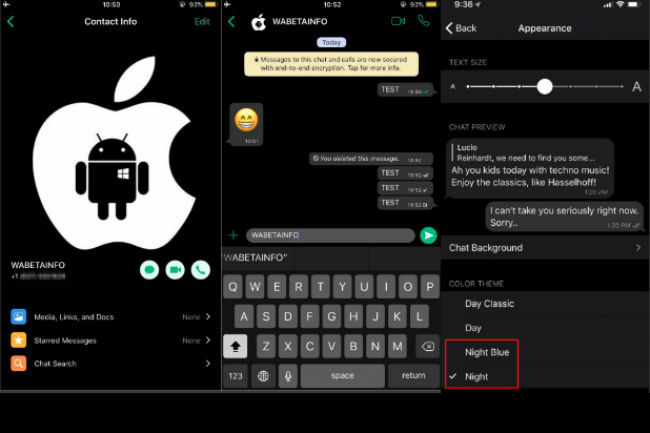 WABetaInfo even made a concept image (shown above) representing the Dark Mode on WhatsApp. The new mode would help save battery on phones with power hungry OLED displays. 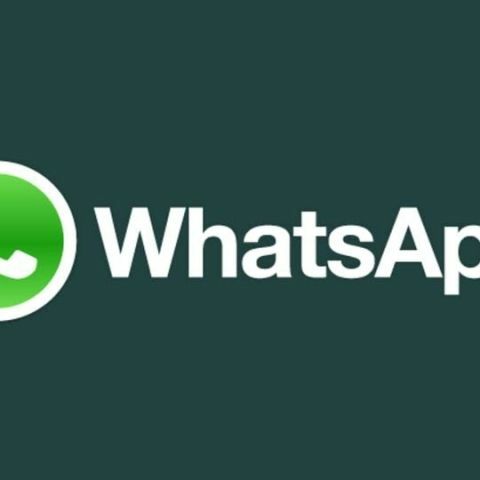 WhatsApp is one of the many app makers releasing Dark Modes for their services. For instance, Google recently updated Android Messenger and YouTube with a new Dark Mode.